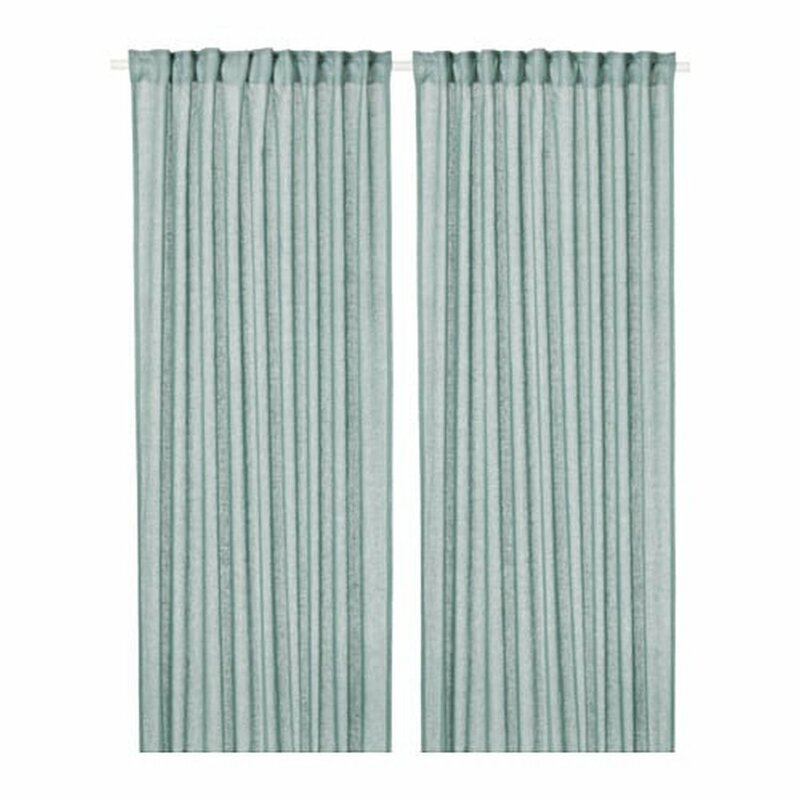 Brand new, in original packaging, pair (2 panels) of LEJONGAP Green (slightly blue-green) curtains drapes from IKEA of Sweden. Beautiful linen curtains; classy and timeless look. Linen is a hardwearing material that gives the fabric structure and lustre. - The curtains lower the general light level and provide privacy by preventing people outside from seeing directly into the room. - Linen is a strong, durable material that washes well and has a natural protection against stains. Becomes softer and beautiful over time. Each panel has a length of 98"(250cm), and a width of 57"(145cm). Please visit my store at rock-paper-scissors.ecrater.com . I am happy to combine postage costs for multiple purchases (e-mail me for an exact shipping quote). If you need a larger quantity, please inquire, as I may have them.